Smaller improvements are more achievable, and by implementing them sequentially your business starts to benefit sooner. You can adapt your plans as things progress, so if some changes don't turn out as anticipated you can adapt the remaining changes. Markets are dynamic and unpredictable. By breaking things down into incremental changes you have the flexibility to re-plan if circumstances change. By following this guide you can take a systematic approach to identify potential profit improvements across your business. The first step is to analyse the current profitability of your business. If you don't have them already you need to put in place good quality management accounts and make sure they are providing the business intelligence you need. High quality management accounts help you identify the parts of your business that are performing well and opportunities to improve. A well rounded profit improvement strategy includes both - building on core strengths while putting improvement plans in place. To be useful for planning profit improvements your management accounts need to report on how your business is performing currently. Year end accounts won't cut it since they can only tell you about your average performance over a whole year, and even this may be out of date by up to 12 months. Management accounts on the other hand let you see monthly or quarterly performance and are always up-to-date. Management accounts should go beyond reporting pure financial data. 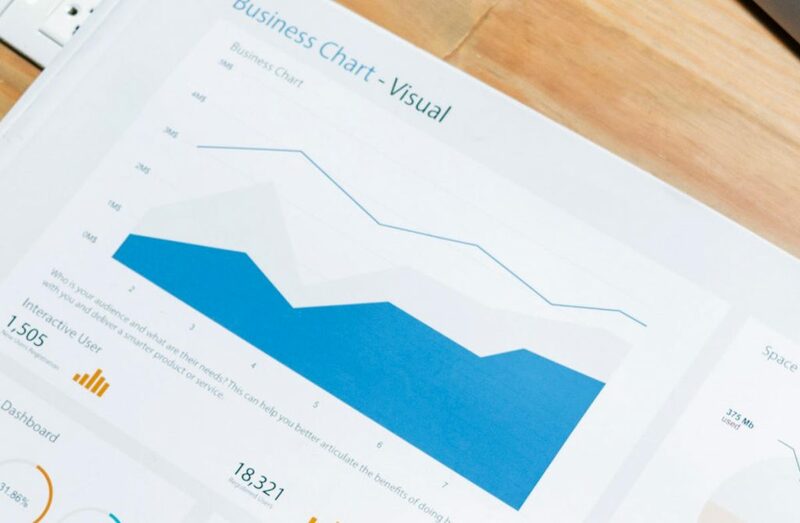 Of course this is important, but a skilled and experienced accountant will help identify the key performance indicators for your business, whether financial or non-financial, and report on what's relevant. A key example would be turnover. A basic set of accounts will measure turnover, but a high quality set of management accounts will not only break this out into key components (e.g. by product type and sales channel) but also include related (and critical) non-financial data such as sales pipeline, conversion rates and sales volume. Basic accounts focus on accurately reporting what's happened over the period. High quality management accounts take this further - providing the key analysis to explain what this means in terms of business performance. All businesses are unique, so the analysis should be based on a detailed understanding of the mechanics of your business. Not only does this help you benchmark different parts of your business (e.g. product lines) against each other - a good accountant will be able to use their commercial experience, and access to relevant industry research, to help you benchmark against other businesses and industry norms. Most owner managed businesses often put too much emphasis on growing sales volume and turnover - sometimes to the detriment of other parts of the business. Following this guide helps by ensuring you're analysing all parts of your business. If you are guilty of "sales focus" it's worth critically analysing your sales and marketing spend, to make sure you're getting value for money. It's also worth a fresh look at your pricing strategy - increasing your prices may lead to lower sales volumes but could still increase your turnover (and profits). See our expert guide to pricing strategy. Is your marketing strategy generating the business leads or customer footfall that it could be? And is it doing so in a cost effective way? If you have multiple sales channels (e.g. wholesale, direct sales, online retail) are there high and low performers? Do you have a clear picture of your ideal customer, and is your marketing directed effectively? Has your marketing strategy adapted to the growth in social media? Is your sales strategy effective enough at converting leads to sales? And if you have multiple product lines is your sales strategy cross-selling and up-selling effectively? Is your customer service letting you down? If you're positioned at the premium end of the market do customers understand the quality of your product? Are you building trust through warranties and after sales support? Can you improve confidence using free samples? Would sales improve if you could offer better credit terms, do you have the working capital capability to do this, could you access more short term finance? If you're selling services are you positioned as an expert in your field? Are you giving free guides and advice to develop that reputation? Is your pricing strategy optimal - finding the right balance between sales volume and profit per unit sale? Our expert guide to pricing strategy may help you identify and plan improvements. Are your stock management, production capability, delivery channels able to meet the level of sales volume you should be expecting from the above? Are there operational improvements you could make to stop loosing sales? Gross margin analysis is usually the key to an effective profit improvement plan. Analysis needs to be done across product lines and over recent time. Objectively analysing gross margin for different product lines often surprises managers, uncovering that their "star" high volume product is the worst performer. Changing focus in their sales and marketing can let you change to a more optimal product mix. Do you have good processes for reviewing your suppliers regularly, and switching to reduce costs when you can? Are you building good relationships with suppliers (e.g. paying them on time) and taking advantage of this to strike better deals? Can you reduce working capital funding costs by managing stock levels better? If your working capital position is strong - can you reduce costs by offering suppliers cash payments or reduced credit terms? The next key performance metric to focus on is your EBITDA. This measures how profitable your core business is. It measures your profit before interest, tax, and the profit impact of depreciating or impairing long term assets (such as plant, equipment, facilities and any brands or other intangible assets). Are working practices as efficient as possible? Are you taking full advantage of technology - not just to improve production processes, modern software can automate and drive efficiency across your business, including "office based" or "white collar" tasks. Formalising processes is often key to improving efficiency - as well as other benefits such as improved reliability, better customer experiences, reducing reliance on key staff; and increasing the attractiveness and selling price of your business to others. Are you outsourcing effectively? When done well it brings vital expertise into your business at low cost, and reduces business risk by keeping fixed staff overheads low; when done poorly it provides substandard service and erodes margin? Do you have the right business intelligence to monitor and manage this? Do you have the right mix of short term and long term financing? Over-reliance on short term funding (such as overdrafts) can lead to very high interest costs, and an opportunity to improve profits by putting in place longer term loans or other more innovative financing options. See our expert guide to business finance for more details about the options available. Working capital is the money you need to fund your day-to-day operations. By nature it needs to be flexible and short term, both of which result in high interest costs. It's also something that a lot of owner managed businesses struggle with, unless they have the right management accounting and advice in place. Stock levels and WIP should be kept as low as possible to reduce the amount of cash left sitting on a shelf. Do you have an effective stock management system? Are you making full use of "just in time" processes? Do your suppliers give you the flexibility you need for this? Could alternative suppliers do better? Debtor levels - good credit control is critical for avoiding bad debts and reducing your level of unpaid invoices. Customer vetting and actively chasing overdue payments is key to reducing working capital. If you're credit control is good, but the nature of your business means that you still have a lot of customer debt, then you could still reduce the cost of working capital by using invoice factoring or discounting as an alternative to overdrafts. Supplier credit - it may be possible to negotiate better credit terms from your suppliers; perhaps you have built up good relationships with them over the years, or are key customers? Even if your funding strategy is good, with a good balance of short term and long term funding - there may still be scope to reduce borrowing costs by refinancing. Your business may have developed significantly since you last borrowed, and refinancing could take advantage of the fact your a lower risk to lenders. Business finance has also changed a lot in the last few years - with the rise of "innovative finance" and prolonged period of low interest rates both making it a highly competitive market. Although unlikely - it may be worth looking at the cost effectiveness of selling premises, plant or equipment and use the money to pay off debt. Assuming the cost of leasing replacement assets is lower than your current borrowing cost. A better strategy could be to look at your strategy for new acquisitions - taking advantage of opportunities to lease rather than buy outright. Hopefully by following the systematic process we've outlined you've identified a number of different ways to improve profitability. You should also find that many of them can be implemented independently of each other. Start by ranking each of the initiatives based only on their impact on profits. If any of them are dependent on each other they should be grouped together and ranked collectively. Next identify what resources are available in your business, and which of these initiatives people are able to work on. Cost benefit - you may be able to complete items 3, 4, 5 on your list in the same amount of time as item 1; and should do this if their combined profit improvement justifies it. People's specialisms - it may be that you can work on lower ranked items at the same time as your big ticket improvements, because they could be completed by different staff. What you should definitely avoid is trying to do everything at once (as tempting as a "grand plan" can be). By focusing in individual initiatives you get to complete things quickly and start realising their benefits incrementally. The "grand plan" often means waiting far too long before you see any benefits; not to mention the risk of never seeing any benefit - either because the planning becomes too complex, or because your business circumstances change before you can complete it. Improving profits is a key business goal. Our expertise in business intelligence and analysis, and in planning and delivering complex projects, could be a critical. Why not find out more about how we can help?